HCM City (VNA) – Ho Chi Minh City’s authorities have asked the Ministry of Planning and Investment and the Ministry of Finance to allocate an additional 48.76 trillion VND (2.14 billion USD) of official development assistance (ODA) in the next three years, with 8 trillion VND (352.33 million USD) allocated for this year. The Japan International Cooperation Agency (JICA) has urged the city to work with the government to request more funds to implement two JICA-funded projects this year. 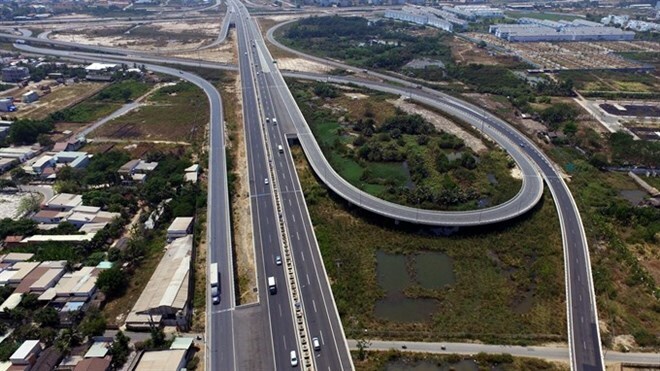 The work includes construction on metro line No 1 Ben Thanh-Suoi Tien and the second phase of a water environment improvement project on the Tau Hu-Ben Nghe-Đoi-Te canal. Under commitments with the contractors, annual ODA loans needed for the two projects would reach 29.51 trillion VND (1.3 billion USD) by 2020, and 7 trillion VND (308.34 million USD) for this year. However, ODA funds from the central Government this year have yet to be allocated for the two projects, according to the municipal People’s Committee. The city has also asked the Prime Minister to urge the ministries to consider allocating ODA funds for the projects to meet the construction schedule. Allocation of ODA funds on time plays an important role in ensuring the progress of project implementation and prevents costs incurred by late payments claimed by foreign contractors. JICA last year signed ODA loan agreements with Vietnam, totaling 166.12 billion JPY (1.53 billion USD) for three projects. The three projects are the metro line No 1 under the HCM City Urban Railway Construction Project, the second phase of the water environment improvement project, and the Thai Binh thermal power plant and transmission line construction project. The loans aim to improve economic infrastructure essential to strengthening Vietnam’s competitiveness and promoting environmental improvements. The construction of the urban railway will alleviate traffic congestion and air pollution while encouraging regional economic development. The water drainage project in HCM City is expected to improve water treatment capacity and reduce flooding.